A few of the thousands of Tundra Swans we saw. I have often read birding reports of people seeing thousands of the same species of bird in a single outing, but could never really imagine what that would look like. Now I know, it's amazing! 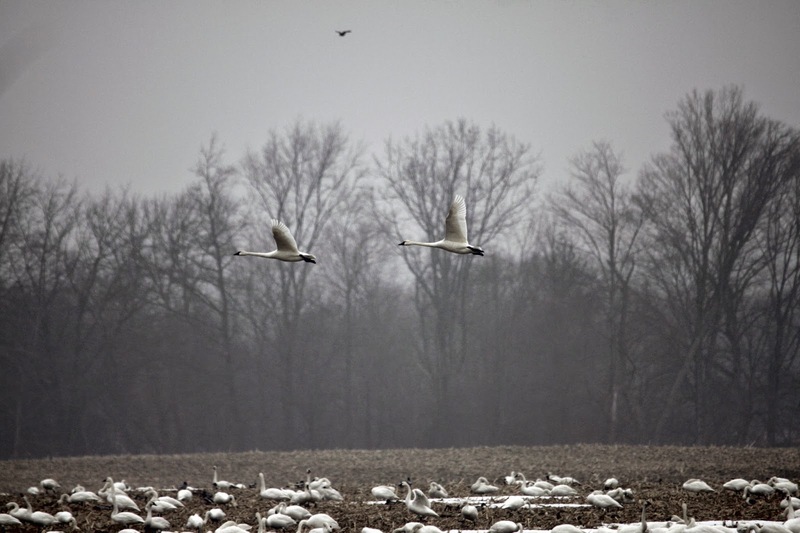 On Saturday March 21st, Rob and I went on a Toronto Nature Lovers tour (formally, Authentic Canadian Tours) to the Port Rowan/Long Point area to witness the Tundra Swan migration. Wow! To have seen so many of these beautiful swans in one area was truly breathtaking. 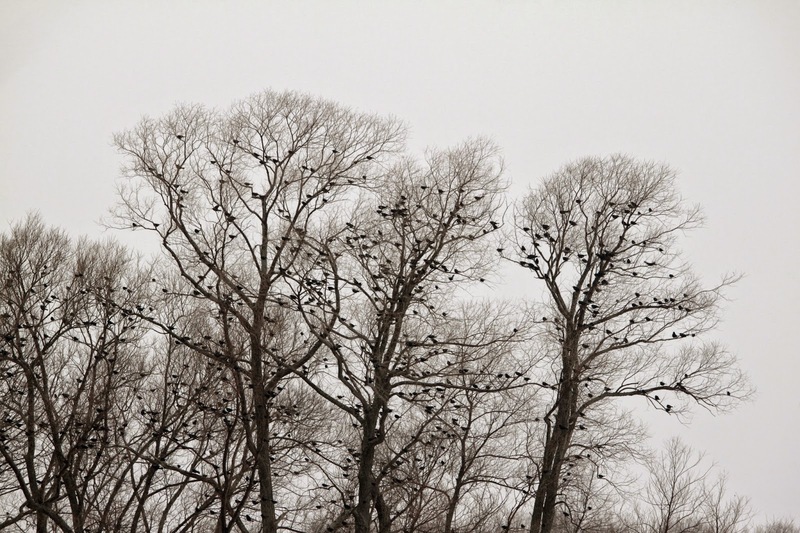 We also saw lots of Redheads, a couple Sandhill Cranes, loads of blackbirds and a variety of hawks. We also found a great eating spot for when we are out birding that way, always a bonus! I highly recommend Bella's Bakery and Boutique Restaurant. Please enjoy a few pictures from the day. Click on the pictures to enlarge. 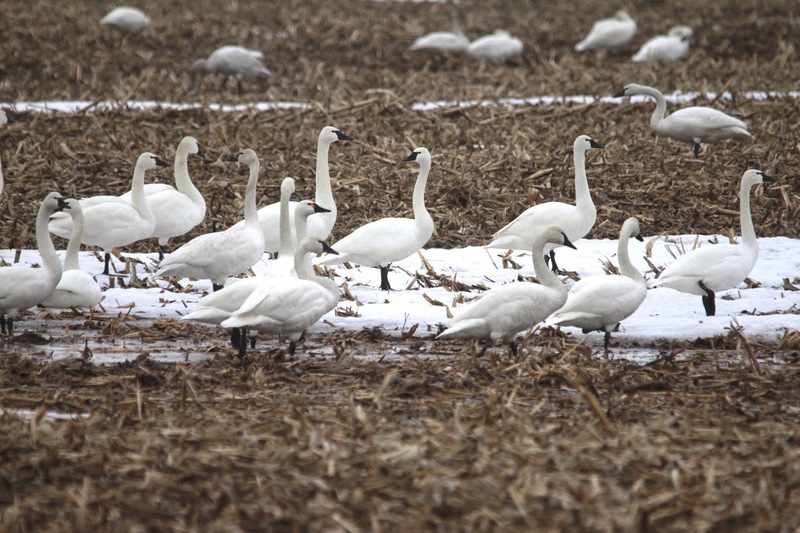 A field of Tundra Swans. There were field after field of them. A mixture of Red-winged Blackbirds & Grackles arriving for the season. 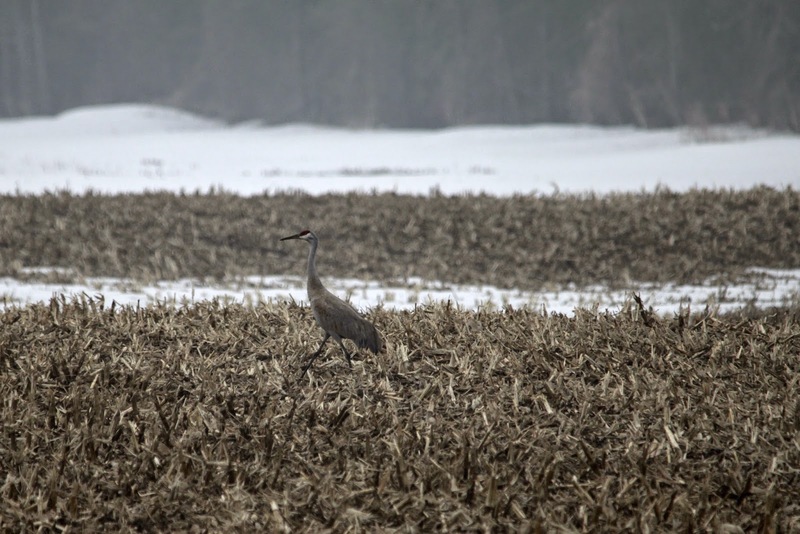 One of two Sandhill Cranes we saw. 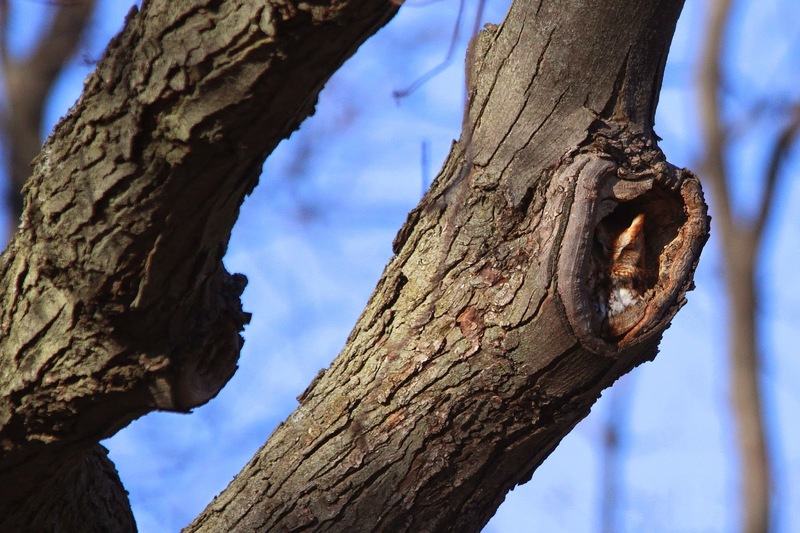 Ended the day with this little guy, an Eastern Screech Owl in Burlington.